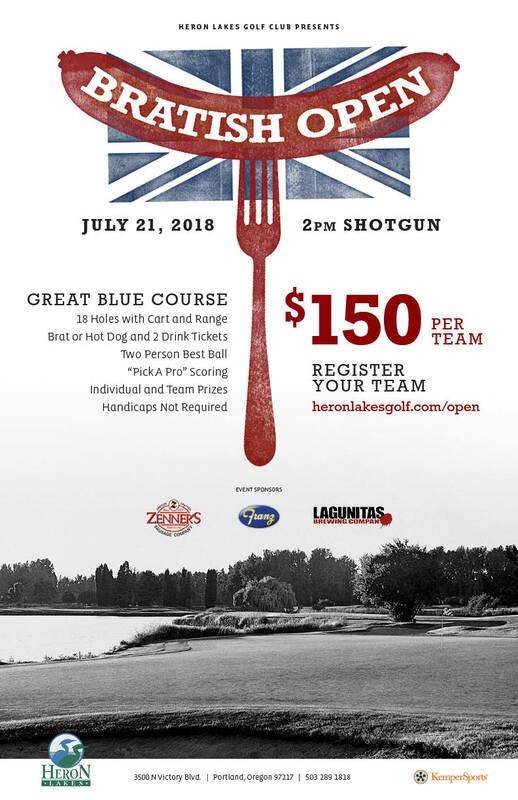 Please join us for our version of the famous Open Championship! This event uses a best-ball format for both two-player and four-player teams, with "Pick-A-Pro" scoring. Each amateur golfer will choose a professional from the actual OPEN tournament to be their partner on a 2-player team. Both amateurs will also combine with their respective pro partners to form a 4-player team. Pro partner scores will be taken from their Sunday round and applied hole-by-hole with the Heron Lakes scorecard. Handicaps are not required as the scores from the Professional players will be used to help even the field. The focus of this event is fun, with a side of friendly competition.